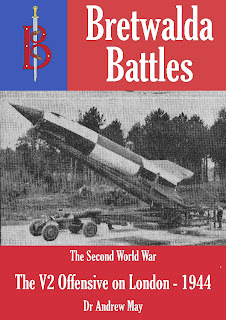 The V-2 rocket offensive launched by Nazi Germany in the closing months of the Second World War was one of the most fascinating episodes in 20th century military history. The rocket technology used in the V-2s was years ahead of its time, and led directly—through the exploitation of captured rockets after the war—to both the US and Soviet space programmes. But the V-2s were more than just geeky technology—they were terrifying killing machines, that arrived without warning and were more than five times as lethal as the same amount of explosive delivered by more conventional means. One of the most interesting things about the V-2s is the combination of secrecy and scepticism that surrounded their development and initial deployment. In the 1920s and 30s, many scientists were dismissive of the very idea of long-range, liquid fuelled rockets, and claimed that they only had a place in children’s science fiction stories. Astonishingly, even after the V-2s started to crash down onto London, it was two months before the British government reluctantly acknowledged their existence. During this time, the outbreak of sudden devastating explosions—sometimes several a day—was officially attributed to “exploding gas mains”. Why was the government so slow to admit that such a serious threat existed? One reason was that the allies were officially supposed to be winning the war, and such negative publicity would be bad for the country’s morale. But another factor was that any public announcement would be picked up by the Germans, and the government didn’t want the enemy to have any information on where the rockets were landing. 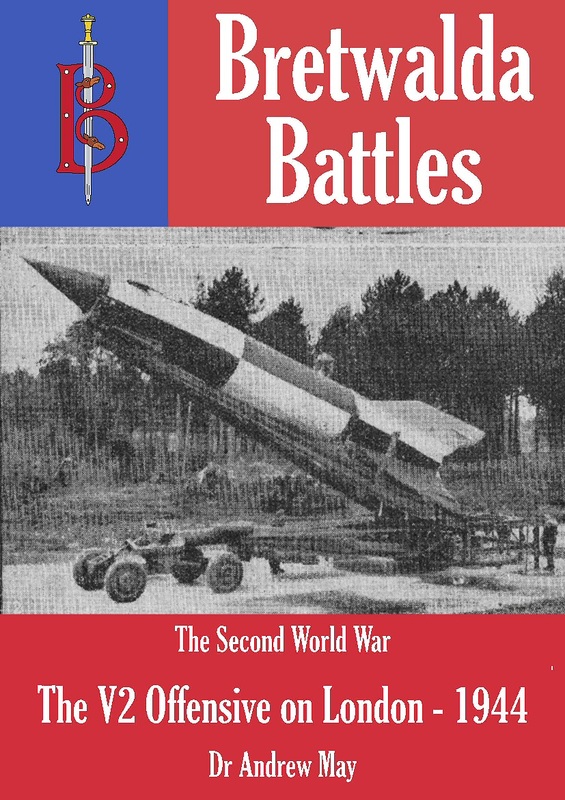 You can read a lot more about this subject in a short ebook I’ve just written in the Bretwalda Battles series: The V-2 Offensive on London. This is metaphorically “hot off the press”, and is currently only available in Kindle format from Amazon.com and Amazon UK, and in other formats direct from the distributor Smashwords. But it will be released by iTunes and other retailers over the next few weeks. Incidentally, all of my self-published ebooks are now available on iTunes -- I’ve set up a new Books page on my website with links to all the detailed information.